Cathy O’Dowd is the first woman in the world to climb Mount Everest, the world’s highest mountain, from both it’s north and south sides. The years Cathy spent on or around Everest were for her a degree ‘in living’. The insights she discovered about herself, and about individuals and teams under intense stress in the face of overwhelming challenge, are ones she has been sharing with her corporate audiences ever since. Cathy, who grew up in Johannesburg, South Africa, has climbed ever since leaving school. She was completing her Masters degree in Media Studies at Rhodes University, and working as university lecturer, when she saw an advert in a newspaper for a place on the 1st South African Everest Expedition. Cathy O’Dowd was one of 200 women who applied for the Everest place, and was the one finally selected. The team followed the route made famous by Edmund Hillary. 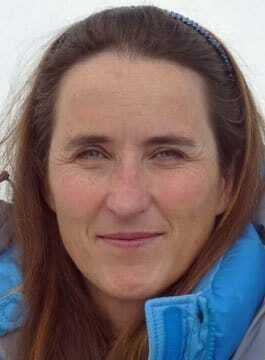 Despite being the apprentice on the team, on 25 May 1996 Cathy O’Dowd reached the summit. It was, however, a tough introduction, as British team-mate Bruce Herrod was killed on the descent. O’Dowd has written two books about her Everest experiences, Everest: Free to Decide, co-written with Ian Woodall, and Just for the Love of it, translated into German as Aus Liebe Zum Berg. In 2000 she became only the fourth woman in the world to climb Lhotse, the world’s fourth highest mountain. As a motivational speaker, Cathy weaves together the literal adventure of the climb and the metaphorical challenge of reaching for the peak of achievement, sharing her stories of challenge, adventure, passion for life and the reality of death. Her inspirational keynotes focus on self-motivation, risk-assessment, team dynamics, leadership, and tackling seemingly overwhelming challenges. Cathy O’Dowd can present her speech in English or Spanish.